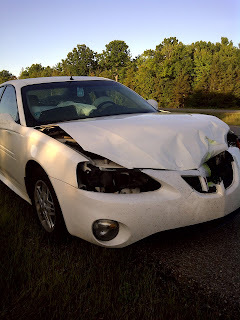 I hit a deer this morning... and by "hit" I don't mean punched. I hurt my wrist and I'm a little sore, but other than that... I just want to reanimate the deer so I can kill it again. Is that so much to ask? But I'll just deal with it because it's not worth creating a zombie deer that might spread the disease and cause the apocalypse. Patient Zero: Bambi. Nope, definately not worth it. 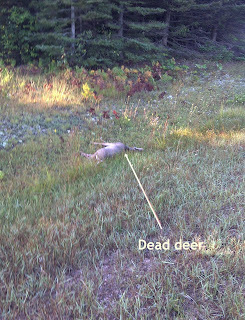 ﻿﻿The deer paid for the car with its life. 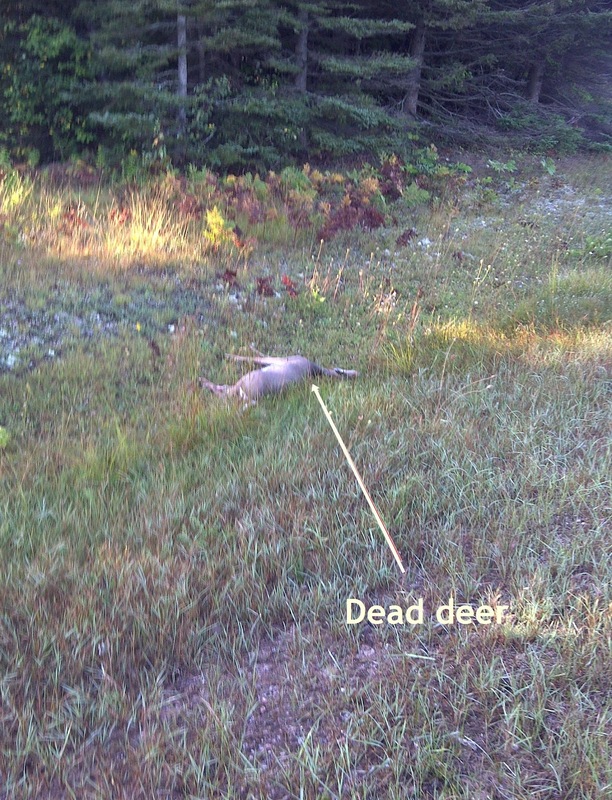 Was it worth it you suicidal deer? I was going to put up a picture of my injury but it's gross looking. So... you're welcome. I'm doing you a favor by holding myself back. Wait a minute! Does this mean I get cake? 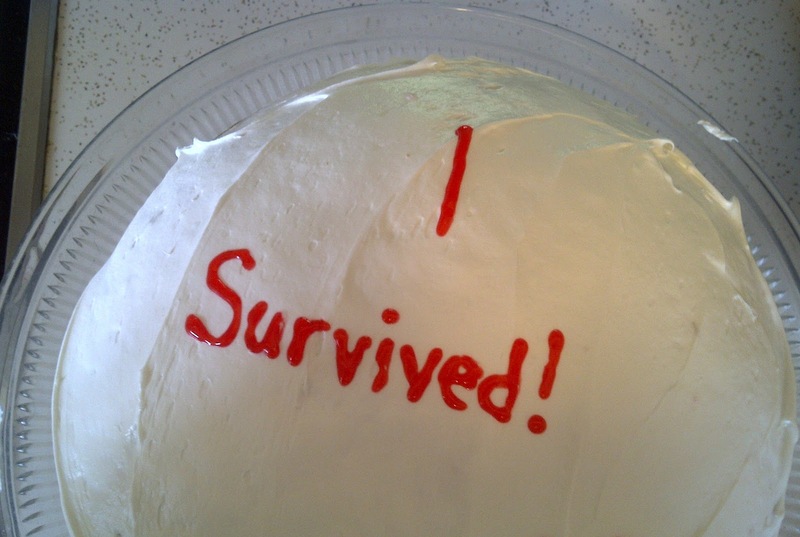 Surviving a deer catastrophe should at least earn me some cake. I mean, I could have died. I've got an injury and the only prescription is more cake... and pain pills.